Medium light. Muted rose tint for improved contrast and image resolution (visual clarity) in low light. 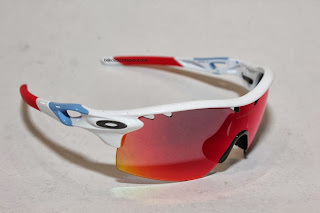 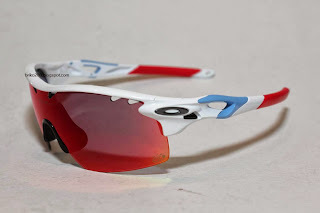 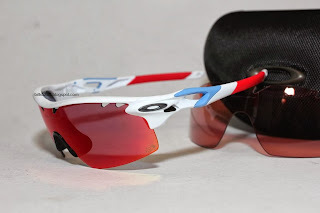 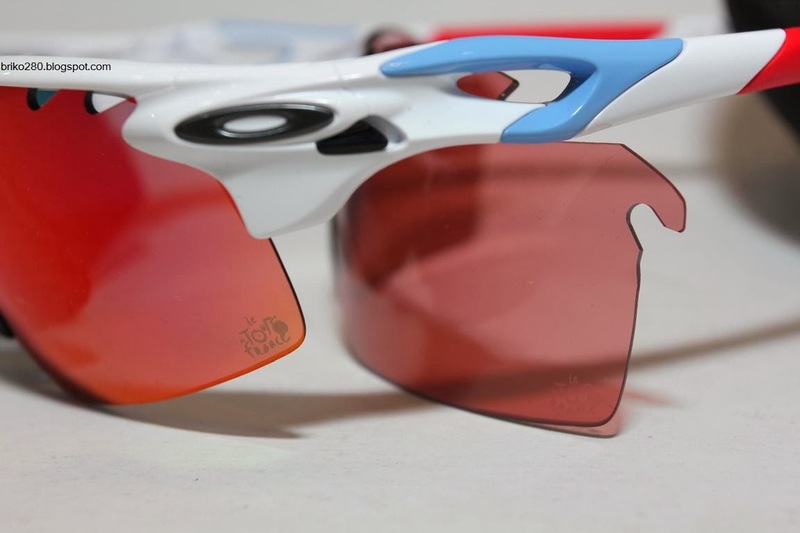 In 2012, seven of the Top 10 riders in the overall classification relied on Oakley eyewear including RadarLock™. Offering the ultimate in performance innovation, it features the revolutionary Switchlock™ Technology that makes the process of lens changing quick and hassle-free. 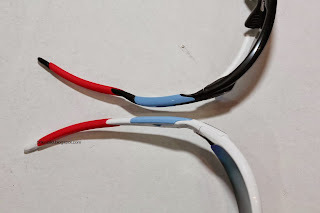 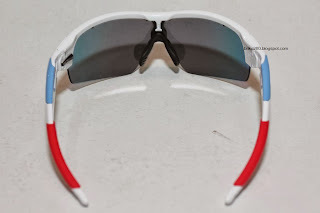 This XL Straight Stem edition of RadarLock extends the angle of view when head is tilted downward, and the earstems are engineered to fit under cycling helmet. Inspired by the colors of the French flag, this limited edition collectible comes with a custom Microclear™ bag, decked with original Oakley art. 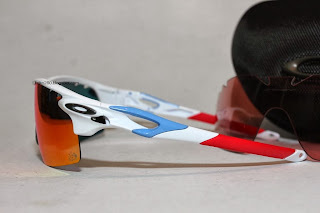 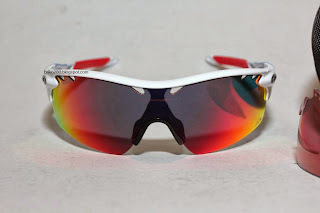 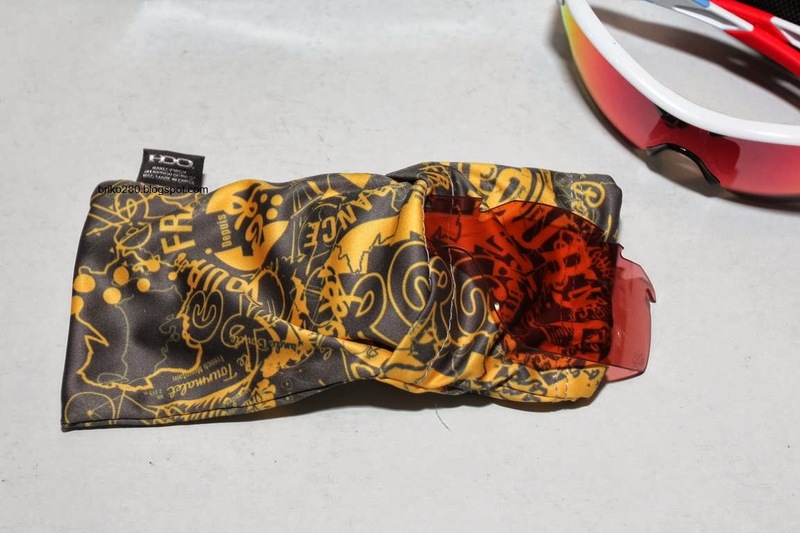 Oakley saluted the yellow of the official TdF logo by adding a stripe of color to the metal icons. 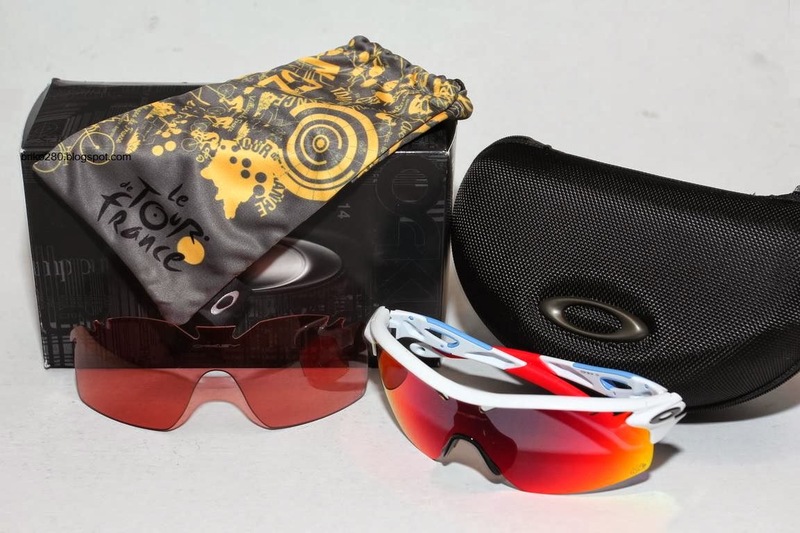 For even more customization, the emblem of the Tour is laser etched at the corner of the lens. Two lenses are included, featuring the lens contour of Pitch™ that gives wide peripheral vision with venting for the comfort of cooling airflow. 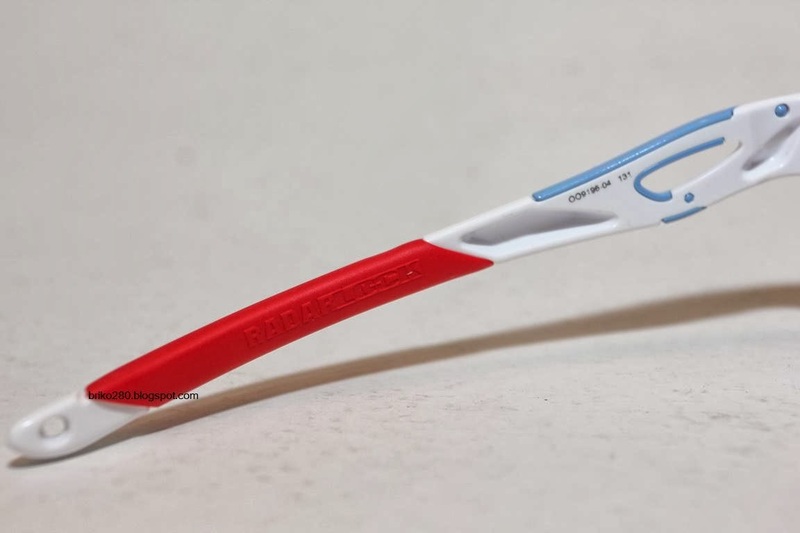 For low light and “flat” light that hides detail, take advantage of the G40™ lens and see what have been missing. When the sun is blinding, go with the balanced light filtering and glare reduction of the +Red® Iridium® lens. Both lenses increase visual contrast to improve depth perception, and the included Microclear bag has a pocket to stow the extra lens.